Background and Objective: Lead (Pb) has a variety of uses, namely in making bullets, pipes, wires, sinks, containers, leaded gasoline, paints, battery and radiators. Lead emissions cause environmental contamination which affects nervous, renal and cardiovascular systems. Lead is known to cause biochemical alterations in tissues. The present study evaluates the acute effects of lead at sub-lethal concentrations in zebrafish. Materials and Methods: A total 72 zebrafish were divided into four groups viz. control and exposed groups which were given 0.5, 1.0 and 2.0 mL L1 (ppm) of lead CRM for 24 h. Levels of malionaldehyde, glutathione and antioxidant enzyme activities were determined in liver, kidney and brain. Statistical significance was determined using one-way ANOVA where p<0.05 was considered as significant. Results: Acute exposure of zebrafish to lead caused increased lipid peroxidation and elevated activity of glutathione peroxidase in a concentration dependent manner. However, no change in glutathione content was observed at 0.5 mL L1 concentration while it was elevated at 1 mL L1. There was alteration in the activity of other enzymes in a concentration dependent manner. Increased concentration of lead affected the brain tissue more as compared to liver and kidney. Conclusion: Lead exposure induces oxidative stress and a decline in enzyme activity presumably causes lipid peroxidation due to increase in the levels of reactive oxygen species. The biochemical mechanisms mediating low-level toxicity are not clearly understood but in several biological systems lead (Pb) alters cellular processes. Studies suggest that no threshold levels for lead have been prescribed which causes adverse effects. Safe disposals of domestic sewage and industrial effluents as well as enforcement of laws to protect our environment are therefore advocated. Reena Chetandas Jhamtani, Saurabh Shukla, Mohinder Singh Dahiya and Rakhi Agarwal, 2017. Evaluation of Acute Effects of Lead at Sub-Lethal Concentrations in Zebrafish. Research Journal of Environmental Toxicology, 11: 97-103. Lead (Pb) is one of the most popularly known ubiquitous heavy metals. Heavy metals are environmental pollutants and are the result of discharge of untreated wastes into water bodies by industries and also by agricultural run-offs. Lead is used for a variety of purposes which in turn has led to a manifold rise in the occurrence of free lead in biological systems and in the inert environment1. Since it is not degradable, therefore it persists in the environment for a long time. Recent studies suggest that no threshold limits have been fixed for adverse effects of inorganic lead. The range of lead exposure sources in India is widespread. Use of leaded petrol has increased with the increase in the number of motor vehicles which is a matter of great concern2. Occupational poisoning hazards arise from workplace such as in lead battery assembly, radiator repair, print shops and brass works, where human contact to lead is unavoidable. As per Science Daily News3 report, a relationship exists between poverty and levels of lead in humans. Several accidental poisoning cases are reported due to lead poisoning which may be intentional or unintentional. Suicidal, homicidal, experimental and the therapeutic cases fall under intentional poisoning while accidental or occupational exposures fall under unintentional poisoning cases4. Lead pipes used in water supply and tinned containers are key sources which may cause accidental lead poisoning, however, most of the cases of lead poisoning are due to occupational exposure to paints. In India, use of lead based eye-liner and kajal may also cause poisoning5. Implementing and enforcing the consumer protection laws is a must and proper labelling of chemicals was critical to workplace safety and should be a legal requirement. Lead has been used as an adulterant and as a weighting agent in foods and other goods e.g. adulteration of ice-cream with white lead. According to Quality Council of India (QCI), National Referral Center for Lead Poisoning (NRCLP) has announced that India was on the verge of becoming the "world capital of lead poisoning"6. Exposure to lead affects numerous organs systems in humans and animals, primarily liver, kidney and brain. Chronic exposure to lead, damages brain and leads to convulsions, coma or even death. Children, who survive from the effects of lead poisoning, often suffer from intellectual impairment and behavioural disorders. Low levels of exposure to lead, affects multiple body systems. Anaemia and gum infection among children was often an indicator of lead poisoning7. Inorganic lead has been classified as a "probable" human carcinogen by the International Agency for Research on Cancer (IARC) but results from epidemiological studies are mixed and a mechanism for the potential carcinogenicity of lead has not been confirmed8. There was some evidences that oxidative stress plays a role in lead-induced toxicity, lead has been shown to deplete antioxidant proteins and induce the production of reactive oxygen species (ROS)9. Apparently lead, through a yet an unknown mechanism alters the cellular processes in organ systems of living beings. Lead can cause toxicity in several ways: It directly interferes with enzyme activation, causes competitive inhibition of trace mineral absorption, binds with sulfhydryl proteins, alters calcium homeostasis and lowers the level of sulfhydryl antioxidant reserves in the body10. Lead poisoning was found to be often associated with encephalopathy and toxic neuropathy suggesting brain as the most vulnerable target. Oxidative stress was considered as a cause of lead neurotoxicity as assessed by elevated levels of malionaldehyde (MDA)11. Studies have shown a direct correlation between lead concentration and an increase in lipid peroxidation (LPO) in brain tissue of rats exposed to lead12. Lead has been reported to cause neurotoxicity in zebrafish13. The zebrafish is a model organism which was used in toxicity studies because of its characteristic advantages, namely, are small and robust, have a similar genetic structure to humans and hence can be extrapolated to humans, its embryos are transparent which allow researchers to easily examine the development of internal structures and are cheaper to maintain than mice. They are widely used in different studies like toxicological assessment, pharmacology and in other diseases related to humans13. Zebrafish have been used as a model animal in heavy metals, pesticides and other chemicals poisoning studies to understand its toxicity and teratogenicity14. The present investigation was carried out to evaluate the acute effects of exposure to lead at three sub-lethal concentrations in the liver, kidney and brain of zebrafish. The study was carried out during May 2016-December 2016 at the Laboratory of Analytical and Molecular Toxicology (Forensic Chemistry and Toxicology Laboratory), Institute of Forensic Science, Gujarat Forensic Sciences University, Gujarat. Chemicals and reagents: Lead CRM (Certified Reference Material) was obtained from Gujarat Pollution Control Board (GPCB), Gandhinagar, India. All standards and other reagents used were of analytical grade and of highest purity. Zebrafish: Certified wild species of adult zebrafish (4-5 months, length 2.8±0.5 cm, weight 0.295±0.5 g) were procured from a pet shop and handled in accordance with good animal practice as defined by animal welfare bodies. The fishes were acclimatized for 15 days to laboratory environment by keeping them in glass aquaria containing 50 L of dechlorinated tap water maintained under controlled conditions (temperature = 25±2°C, pH = 7.0±0.2, Dissolved oxygen = 7.2±0.3 mg L1, Hardness = 110.0 mg L1, Conductivity = 0.2 μohm, Alkalinity = 0.25 g L1) with constant aeration and 12 h alternate light and dark cycle. Water was changed every day. Fishes were fed daily on commercial pellets and 100% freeze dried blood worms of TaiyomaxTM. Exposure of the organism: The experimental design was in accordance with the guidelines of Organization for Economic Co-operation and Development (OECD)15. During experimentation, the fishes were not provided any food. To observe the lead induced oxidative stress, a total 72 fishes were divided into four groups (18 fishes in each group). Group I: Fishes were kept in dechlorinated water and which served as control (CTRL), while fishes of Group II, III and IV were given 0.5, 1 and 2 mL L1 (ppm) of lead CRM (technical grade), respectively. Collection of tissues and homogenate preparation: Fishes were sacrificed after 24 h of exposure. Liver, kidney and the brain were minced and homogenized (2.5% w/v) with ice-cold 0.15% KCl-0.1 M phosphate buffer (pH 7.4) using Potter-Elvehjem homogenizer and stored at -20°C. Biochemical assays: All biochemical parameters were analyzed using Multiskan EX Plate Reader, (Thermo Fisher Scientific, Inc., USA) and following standard methodologies described by Shukla et al.14. The levels of malondialdehyde (MDA), an end product of lipid peroxidation (LPO) was measured with the absorbance coefficient of the MDA-TBA complex at 532 nm using 1,1,3,3-tetraethoxypropane as the standard. Glutathione (GSH) level was determined using 5, 5-dithio-bis (2-nitrobenzoic acid) (DTNB) for colour development at 412 nm. Superoxide dismutase (SOD) activity was measured by the modified method of NADH-phenazine-methosulfate-nitroblue-tetrazolium formazan inhibition reaction at 550 nm. Catalase (CAT) activity was measured at 570 nm. Glutathione peroxidase (GPx) activity was measured using glutathione as substrate and DTNB as the standard at 420 nm. Protein level was assayed using bovine serum albumin (BSA) as the standard at 690 nm. Statistical analysis: The data from individual groups were presented as the Mean±standard error (n = 6). Statistical significance of mean value of different parameters in liver, kidney and brain tissues for different concentrations [control, Pb 0.5 mL L1 (ppm), Pb 1 mL L1 (ppm) and Pb 2 mL L1 (ppm)] were determined by one-way ANOVA. 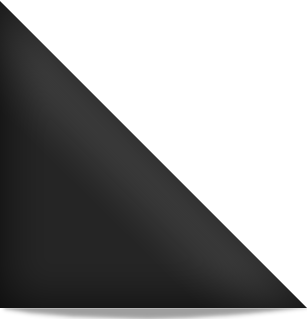 A probability of less than or equal to 0.05 was considered significant which is expressed by the symbol. Lipid peroxidation (LPO): The effects of three sub-lethal concentrations of lead on lipid peroxidation are shown in Fig. 1. In liver, LPO levels increased when the concentration of lead was increased from 0.5 ppm (p<0.05)-1 ppm (p<0.005) but plateaued at 2 ppm. In kidney, significant (p<0.05) enhancement of LPO was observed at all the three concentrations as compared to controls. However, in brain there was a progressive elevation in LPO levels when the concentration of lead was increased from 0.5 ppm (p<0.05)-1 ppm (p<0.001) and finally to 2 ppm (p<0.005). Glutathione (GSH): Glutathione levels at three sub-lethal concentrations of lead are shown in Fig. 2. Exposure to lead at 0.5 and 1 ppm resulted in significant increase of GSH levels (p<0.005) in liver, however, no significant alteration was observed at 2 ppm. In kidney, GSH levels were unchanged at 0.5 ppm, while at 1 and 2 ppm significant elevation (p<0.005) was observed. GSH level was significantly elevated at 1 ppm in brain while at 0.5 ppm there was no significant alteration as compared to controls. However, at 2 ppm depletion (p<0.05) in glutathione content was observed as compared to controls. Superoxide dismutase (SOD): Superoxide dismutase activity at three sub-lethal concentrations of lead is shown in Fig. 3. In liver, significant elevation in the exposed groups was observed at 0.5 ppm (p<0.001) and 1 ppm (p<0.05), while no significant alteration was found at 2 ppm as compared to controls. However, there was depletion in SOD activity of liver at 1 and 2 ppm when compared to the 0.5 ppm exposed group. SOD activity in kidney showed significant (p<0.001) depletion at all the three concentrations. In brain, activity of SOD was found to be significantly elevated (p<0.001) in the 0.5 and 2 ppm exposed groups, however, no significant change was observed in the 1 ppm exposed group as compared to controls. Catalase (CAT): Catalase activity at three sub-lethal concentrations of lead is shown in Fig. 4. Fishes exposed to lead at 0.5 and 1 ppm showed significant elevation (p<0.005) in CAT activity in liver, while at 2 ppm, the activity was significantly depleted (p<0.05) as compared to control groups. Likewise, in kidney and brain significant elevation (p<0.005) in CAT activity was observed at 0.5 and 1 ppm exposure. However, no significant elevation was observed at 2 ppm. The activity of CAT in all the tissues showed an increase when concentration of lead was increased from 0.5-2 ppm and subsequently showed progressive depletion when concentration was increased beyond 2 ppm. Glutathione peroxidase (GPx): Elevated GPx activity (p<0.05) was observed in liver tissue at all the three sub-lethal concentrations of lead exposure as shown in Fig. 5. In kidney, significant elevation (p<0.05) of GPx activity was observed after 0.5 and 1 ppm exposure. However, no significant alteration was observed at 2 ppm. In brain, elevated GPx activity (p<0.05) was observed at all the three concentrations. In brain, progressive increase in activity of GPx was observed at 0.5, 1 and 2 ppm concentrations of lead as compared to that in kidney. Heavy metal toxicity causes oxidative damage. Metals acts as catalytic agents in the cellular oxidative responses. Oxidative stress due to metal toxicity causes generation of reactive oxygen species (ROS) namely hydroperoxides, singlet oxygen and hydrogen peroxide which results in depletion of antioxidant reserves in the organism. Lead has been shown to cause oxidative stress in several organisms and resulting in inactivation of antioxidant enzymes11. Presence of toxic metals in the body disrupts the normal cellular processes, the mechanism of which is not well understood, leading to organ damage. The present findings indicate an induction of MDA level in all the three groups, showing maximum lipid/oxidation in the brain and minimum in the kidney. Similar to the findings of Ercal et al.12, this study findings show a direct relationship between lead concentration and increase in lipid peroxidation (LPO) in brain tissue of lead exposed rats, indicating lead as a neurotoxicant13. Lipid peroxidation of cellular membranes has also been shown in liver tissue of lead-exposed rats16. Increase in LPO indicates onset of oxidative stress due to exposure to lead. The mechanism of cellular damage is based on the generation of free radicals which are captured by the electrons present in the lipids of the cell membranes17. Glutathione is a tripeptide, cysteine-based molecule. It is an important antioxidant for quenching free radicals and is also a substrate responsible for the metabolism of specific toxins. In the present study, the minimum concentration (0.5 ppm) of lead did not cause any alteration in the GSH level in the kidney and brain. However, when the fishes were treated with 1 ppm lead, there was a two-fold increase in GSH level in all the tissues. Similarly, with the 2 ppm concentration, the levels of GSH increased by two-fold in kidney, however, with the same concentration there was a two-fold reduction in GSH in hepatic and cerebral tissues. Increase in GSH content may be due to binding of lead to sulfhydryl enzyme, thus stimulating the process of GSH synthesis. This study findings suggest that to counteract the toxicity caused by lead, the concentration of glutathione increases in the tissues and thus our findings are in agreement with that reported in literature11,16. Further, the reduction in GSH content at high concentration of lead (2 ppm) indicates the binding of lead with sulfhydryl group of GSH, resulting in the inactivation of the latter. Our results agree are in-line with the findings of Paul et al.16 and Flora et al.17. Ahmad and Siddiqui also showed a decrease in glutathione levels on increasing the concentration of lead18. Lead has been shown to both elevate and suppress antioxidant enzymes12. Superoxide dismutase scavenges superoxide from tissues. Decreased SOD activity in kidney at all the three concentrations is in accordance with that reported in literature showing decrease in SOD activity on exposure of rats17 and zebrafish19 to lead. The decrease in SOD activity may be due to its inhibition by elevated levels of ROS which is further proved by increased levels of LPO on lead exposure, leading to accumulation of superoxide radicals which have deleterious effects. The mechanism of depletion in SOD activity induced by lead can be explained as follows: When lead and SOD interact at the molecular level, the former binds to the active site of SOD, an electrostatic effect is generated due to complex formation which prevents SOD in accessing any other substrate, leading to alteration in the structure of SOD. Lead also causes release of Cu2+ and Zn2+ ions from the active site of SOD, resulting in decrease in enzyme activity19. In contrast, the increase in SOD activity in liver and brain tissues may be the result of detoxification mechanism which scavenges ROS. These results are in line with the reported data where the SOD activity is elevated on exposure of humans11 and rat brain10 to lead. Elevated CAT activity is observed in all the tissue at 0.5 and 1 ppm lead exposure. The elevation in CAT activity in lead exposed tissue indicates scavenging of hydrogen peroxide by oxidative activation of the enzyme causing increase in the rate of reaction of conversion of H2O2 to water and oxygen. CAT uses H2O2 as the electron donor molecule. The enzyme activity in liver was found to be prominently depleted at 2 ppm which might be due to accumulation of hydrogen peroxide in the tissue as evidenced by lipid peroxidation causing inactivation of enzyme. The results are in-line with findings of Paul et al.16, who showed decrease in CAT activity in rat liver on exposure of animals to lead at higher concentration. Glutathione peroxidase (GPx) acts as a defense system against H2O2 formation and provides effective antioxidative protection from decomposing H2O2. The GPx results are expressed as GSH consumed, where in reduced GSH is utilized as substrate for scavenging the hydrogen peroxide molecule by converting it to water molecule. At all the three concentrations of lead, the activity of GPx was high in examined tissues. The role of GPx in reducing oxidative stress induced by lead toxicity, is in agreement with the available studies11,17. Elevated levels of glutathione peroxidase show a positive correlation with elevated glutathione levels. Increase in GPx enzyme activity is a result of exposure to environmental pollutants, has been found in different tissues of several animals9,18. Based on the results, the authors suggest that lead exposure induces oxidative stress in the liver, kidney and brain of zebrafish and the decline in enzyme activity was presumably mediated by the action of lipid peroxidation due to increased production of reactive oxygen species. This study provides a novel approach towards assessment of lead induced oxidative stress at low concentrations. This data can be used to understand the mechanism of lead toxicity and to extrapolate the same in human poisoning cases. The present study shows that lead is toxic at all concentrations used as it alters biochemical processes, however, tissue metabolism, physiology of the organisms and environmental factors are the key factors which are responsible for inconsistency in oxidative stress indicators in zebrafish. Lead exposure induces oxidative stress and a decline in enzyme activity presumably causes lipid peroxidation due to increase in the levels of reactive oxygen species. The biochemical mechanisms mediating low-level toxicity are not clearly understood but in several biological systems lead (Pb) alters cellular processes. Studies suggest that no threshold levels for lead have been prescribed which causes adverse effects. Safe disposals of domestic sewage and industrial effluents as well as enforcement of laws to protect our environment are therefore advocated. Therefore, to protect our environment and living organism, safe disposals of domestic sewage and industrial effluents as well as proper enforcement of laws is necessary. The study identified the subacute effects of lead at three different concentrations that can be beneficial to understand the mechanism of lead toxicity/poisoning. The study help the researchers to uncover the critical areas of lead poisoning even at a very low dose. That can give a baseline data in initial stage of exposure, through which diagnosis can be done in occupational/accidental toxicity/poisoning incidences. The present study includes the assessment of lead toxicity in terms of oxidative stress in zebrafish that many researchers did not explored yet. This study provides a novel approach towards assessment of lead induced oxidative stress at low concentrations. This data can be used to understand the mechanism of lead toxicity and to extrapolate the same in human poisoning cases. The authors are grateful to Gujarat Pollution Control Board (GPCB), Gandhinagar, Gujarat, India, for providing lead certified reference material (CRM). Ms. Reena C. Jhamtani is grateful to Department of Science and Technology, New Delhi, India for providing DST-INSPIRE Junior and Senior Research fellowships (IF140059). Ademuyiwa, O., R. Agarwal, C. Ramesh and J.R. Behari, 2010. Effects of sub-chronic low-level lead exposure on the homeostasis of copper and zinc in rat tissues. J. Trace Elem. Med. Biol., 24: 207-211. Ademuyiwa, O., R. Agarwal, R. Chandra and J.R. Behari, 2009. Lead-induced phospholipidosis and cholesterogenesis in rat tissues. Chemico-Biol. Interact., 179: 314-320. Ahamed, M. and M.K.J. Siddiqui, 2007. Low level lead exposure and oxidative stress: Current opinions. Clinica Chimica Acta, 383: 57-64. American Academy of Pediatrics, 2017. Social challenges amplify negative effects of childhood lead exposure: Research shows poverty increases impact of blood lead levels on preschoolers' cognitive and language development. Science Daily, May 4, 2017. https://www.sciencedaily.com/releases/2017/05/170504083126.htm. Assi, M.A., M.N.M. Hezmee, A.W. Haron, M.Y.M. Sabri and M.A. Rajion, 2016. The detrimental effects of lead on human and animal health. Vet. World, 9: 660-671. Bandyopadhyay, D., D. Ghosh, A. Chattopadhyay, S.B. Firdaus and A.K. Ghosh et al., 2014. Lead induced oxidative stress: A health issue of global concern. J. Pharm. Res., 8: 1198-1207. Chen, H., J.C. Kwong, R. Copes, K. Tu and P.J. Villeneuve et al., 2017. Living near major roads and the incidence of dementia, Parkinson's disease and multiple sclerosis: A population-based cohort study. Lancet, 389: 718-726. Ercal, N., H. Gurer-Orhan and N. Aykin-Burns, 2001. Toxic metals and oxidative stress part I: Mechanisms involved in metal-induced oxidative damage. Curr. Top. Med. Chem., 1: 529-539. Flora, G., D. Gupta and A. Tiwari, 2012. Toxicity of lead: A review with recent updates. Interdiscip. Toxicol., 5: 47-58. Garcia-Leston, J., J. Mendez, E. Pasaro and B. Laffon, 2010. Genotoxic effects of lead: An updated review. Environ. Int., 36: 623-636. Goswami, K., 2013. Eye cosmetic 'Surma': Hidden threats of lead poisoning. Indian J. Clin. Biochem., 28: 71-73. Jhamtani, R.C., M.S. Dahiya and R. Agarwal, 2017. Forensic toxicology research to investigate environmental hazard-An Editorial. JFSCI., Vol. 3. Krishna, G., 2013. Sharp rise in lead poisoning cases, India becoming “world capital of lead poisoning”. Toxics Watch Alliance (TWA), June 18, 2013. http://www.toxicswatch.org/2013/06/sharp-rise-in-lead-poisoning-cases.html. Lee, J. and J.L. Freeman, 2014. Zebrafish as a model for investigating developmental lead (Pb) neurotoxicity as a risk factor in adult neurodegenerative disease: A mini-review. Neurotoxicology, 43: 57-64. OECD., 2004. OECD Guidelines for the Testing of Chemicals/Section 2: Effects on Biotic Systems Test No. 202: Daphnia sp. Acute Immobilisation Test. OECD Publishing, USA., ISBN: 9789264069947, Pages: 12. Patrick, L., 2006. Lead toxicity part II: The role of free radical damage and the use of antioxidants in the pathology and treatment of lead toxicity. Altern. Med. Rev., 11: 114-127. Paul, S., D. Ghosh, A.K. Ghosh, E. Mitra, M. Dey, A. Chattopadhyay and D. Bandyopadhyay, 2013. Lead induces oxidative stress in rat heart and liver tissue homogenates: An in vitro study. J. Cell Tissue Res., 13: 3829-3837. Shukla, S., R.C. Jhamtani, M.S. Dahiya and R. Agarwal, 2017. Oxidative injury caused by individual and combined exposure of neonicotinoid, organophosphate and herbicide in zebrafish. Toxicol. Rep., 4: 240-244. Zhang, H., Y. Liu, R. Liu, C. Liu and Y. Chen, 2014. Molecular mechanism of lead-induced superoxide dismutase inactivation in zebrafish livers. J. Phys. Chem. B, 118: 14820-14826.